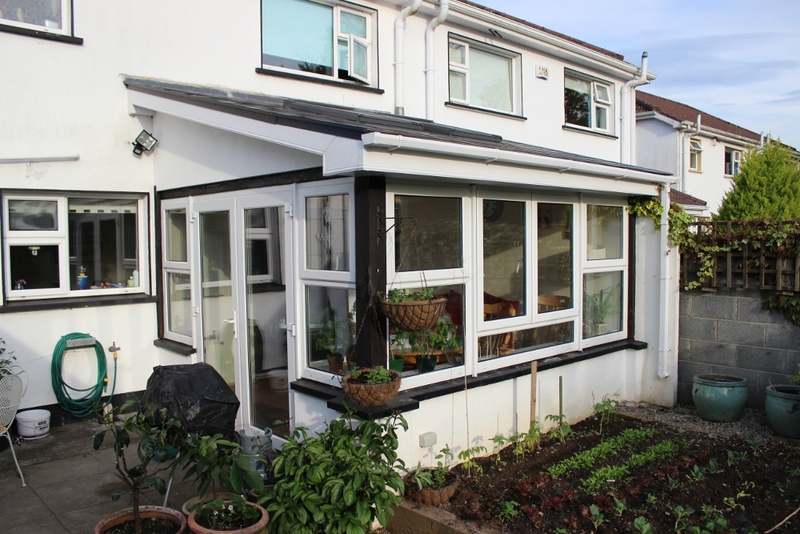 SUN ROOM EXTENSION | Mathieu & Mitchell Ltd.
Mary Griffith approached M&M to design and build a sunroom to the rear of her four-bedroom semi detached home to take advantage of afternoon and evening sunshine. The brief was to create a modern, light- filled room with a high quality interior that would be warm in winter and not too hot in summer. 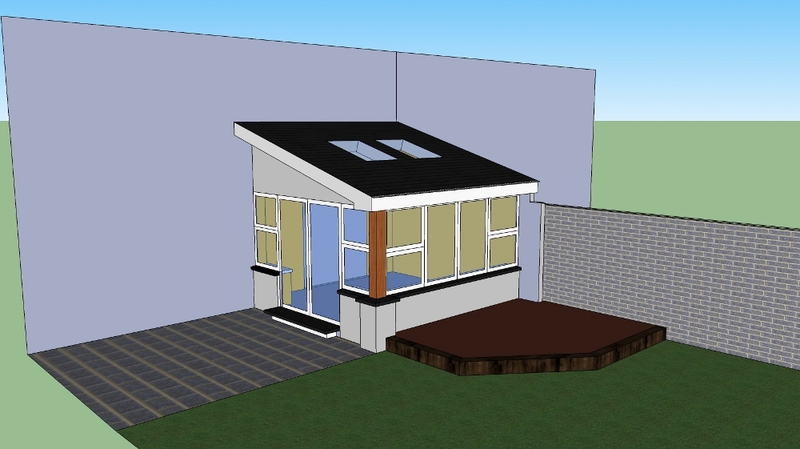 She was relieved when our design professional informed her that such an extension was exempt from planning because it was less than 40 sq meters and to the rear of the property. 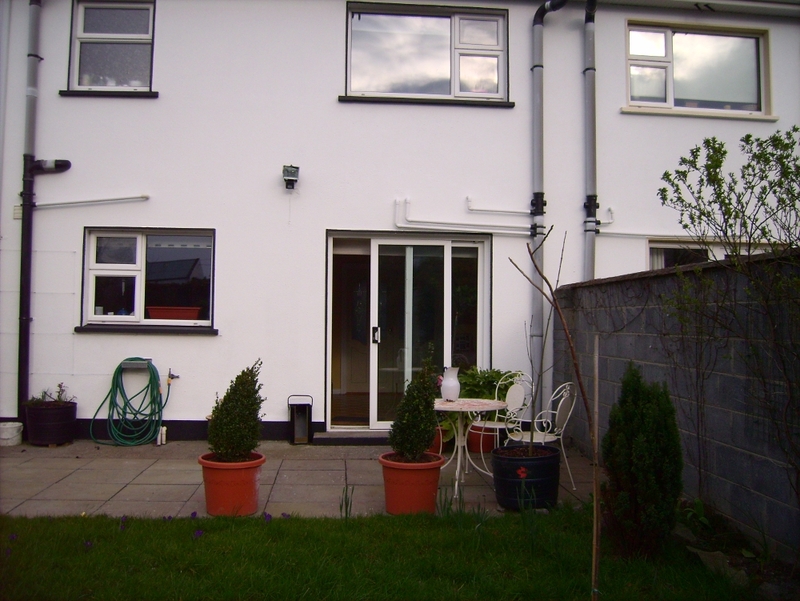 The plan was for a 20 sq meter space with energy efficient high windows and French doors leading out to a sandstone patio. 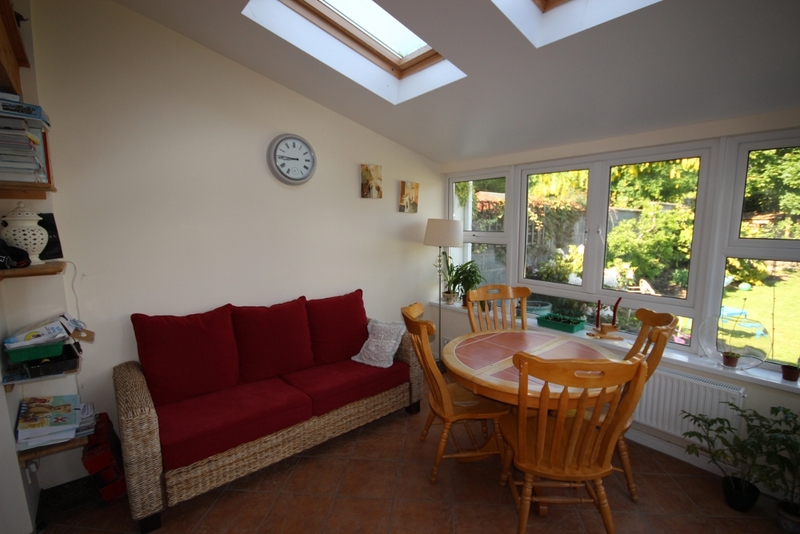 The roof was super insulated and a large triple glazed velux window was installed for more light and natural ventilation. 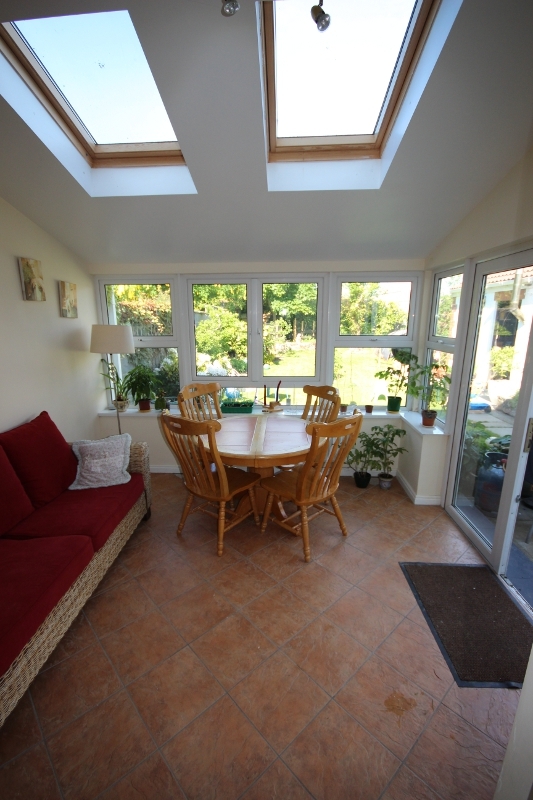 Unlike conservatories that are hard to heat in winter and too hot in summer, this room was designed to be used throughout the whole year. 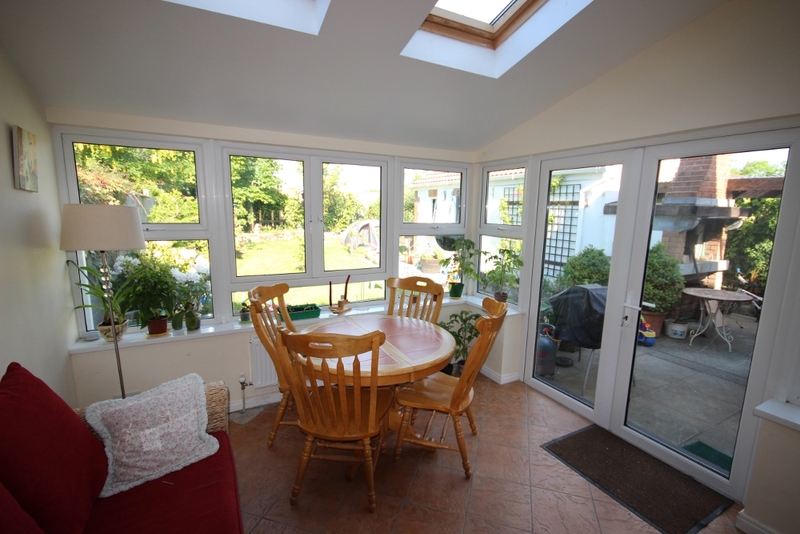 The majority of conservatories and sunrooms have polycarbonate roofs, which let in light but are also responsible for massive heat loss from the main house during the colder months. The impressive modern design, feeling of space and large windows looking out onto the well-tended garden has created an admirable ambiance in which to relax. This project took five weeks to complete.